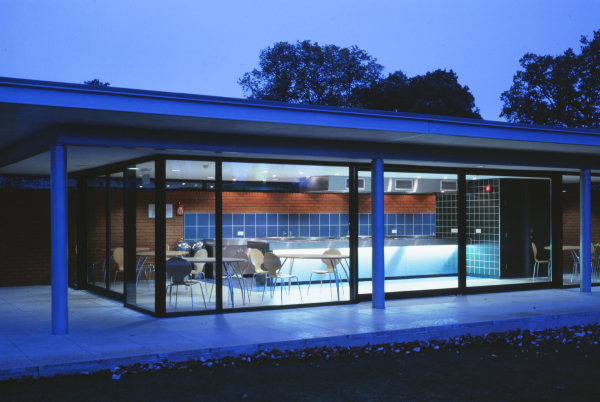 The New Pavilion Café at Concord College. The café is set in an eighteenth century walled garden. 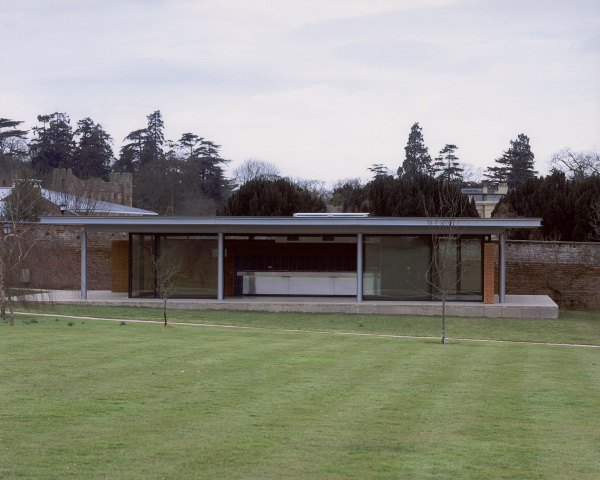 The height of the pavilion is kept low to allow the building to sit comfortably into it’s historic context. 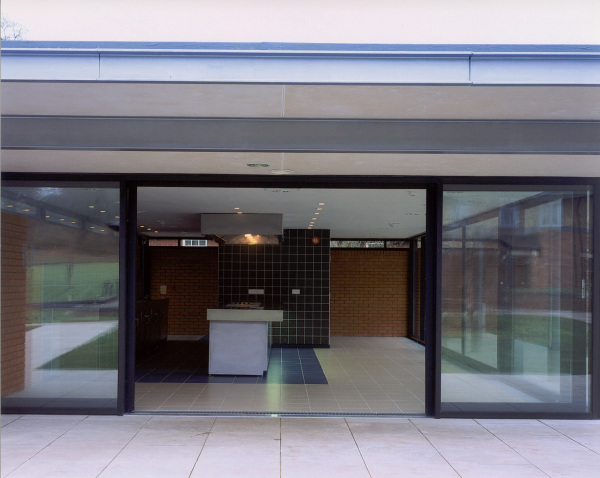 The building is constructed with a steel frame with glazed and masonry walls. 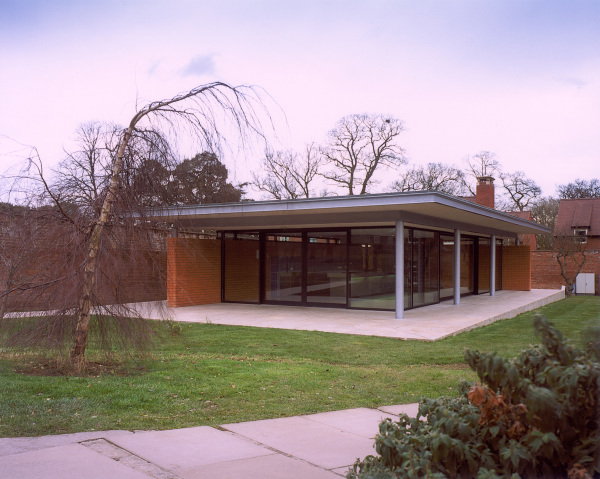 The roof extends past the enclosed café and the steel support structure. 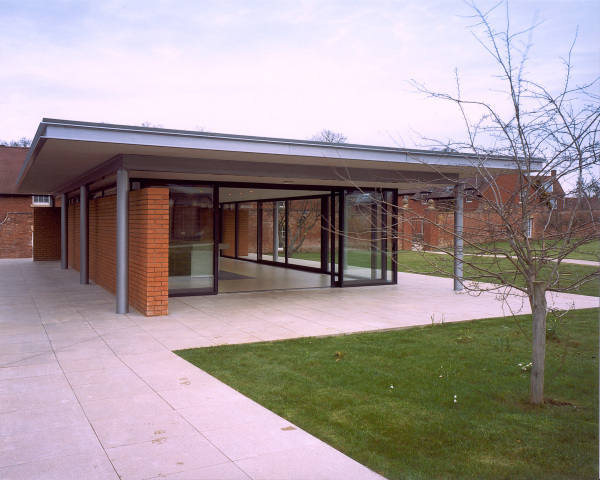 A continuous band of glazing between the masonry walls and the underside of the roof increases the illusion of a floating roof. 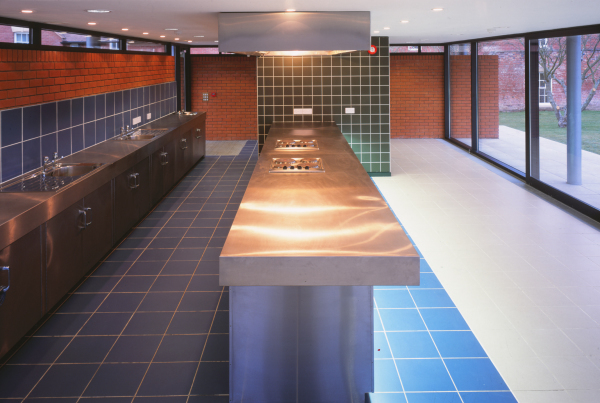 The cafe is equipped with stainless steel fitted kitchen units. Residential students can prepare their own food within the fully equipped kitchen area. 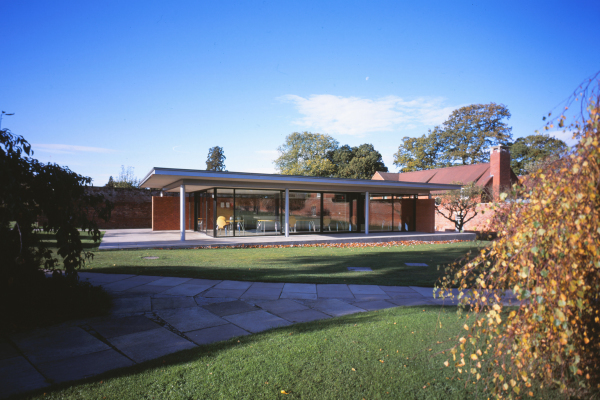 "Baart Harries Newall has created a building of great delicacy with its award-winning design in Shropshire In the shadow of a medieval castle, Baart Harries Newall has designed a delicate, single-storey Miesian pavilion with glazed walls sheltered by an overhanging roof". "This building stands out for its elegant understatement and sensitive treatment in terms of scale and choice of materials. 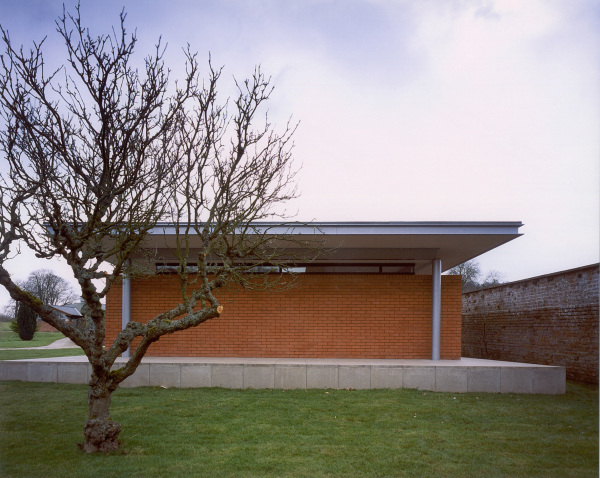 Constructed with a steel frame and masonry walls, the canteen is conceived as a small pavilion set against the backdrop of the garden. The relationship between indoors and outdoors has been simply and strongly handled".